A BOLD claim – Master the art of conflict. Yet to Thrive in a constantly changing dynamic world requires it. Conflict is at the core of all innovation. Master Conflict and your leadership skills, change efforts, and engagement scores soar. Can you relate to what other leaders tell me? I am protective of my awesome people. They are out there to deliver great work, then people at worksites or other departments create all kinds of obstacles and sometimes it feels like they get beat up out there! We are better than that and it eats up our profit. Can’t he hear! Why doesn’t he just do what I say? I keep repeating myself. Just how old are they? I need the diversity on my team, but wow! They don’t like or appreciate each other! Some of my best people are the worst team members. I guess they aren’t the best then, are they? Stunned and tired. One of my peers sees things so differently than I, are we living on the same planet working toward the same goal?! I don’t get why our executives keep some of these people on the team. Perplexed, I give them everything. Why do my people seem disengaged and unhappy? Surfing lessons might be helpful! Constant change is fatiguing. Staying balanced in ever-changing circumstances is something I could use help with. I know it is fatiguing for some of my best people. I worry I’ll lose them. Influencing others when I have no authority or control, any tips would be greatly appreciated. Even seasoned leaders have these challenges. Mastery is an ongoing process, great performers never stop honing their craft, and neither do great Leaders. This is where artistry comes in and Spiral Impact is your paintbrush, your dancing shoes or as in Karen’s case your practice mat! Yes, she brings her martial arts skills to her sessions. Prepare to be fascinated, as it is so magical when you experience how simple tools can totally change the dynamic of an interaction! Spiral Impact is THE method for handling conflict with honor – honor of self and the others. Spiral Impact is a method while simple is multi-dimensional. There are layers of Mastery. That’s why Karen is now offering options. 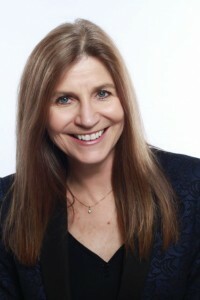 “Karen Valencic is the go-to expert for anything that involves dealing with, managing, and working through CONFLICT. For over twenty years, Karen has specialized in helping people and organizations improve performance by understanding and mastering the art of conflict.